Our range of products include dnr applecut blue water soluble cutting oil cnc vmc coolant and water soluble cutting oil for cnc vmc machines. a) Excellent stability.b) Good surface finish.c) Good protection against Rust and Corrosion.d) Excellent wetting and cooling properties.e) Long life without any fowling or rancidity.f) Compatible with Paint and Sealing materials of Older machines.g) It is an optimum solution. 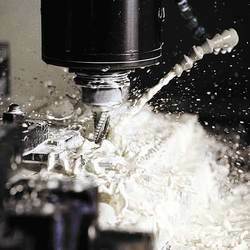 We are reputed as trusted manufacturers, suppliers and traders of Water Soluble Cutting Oil for CNC VMC Machines that are extensively used for maximizing life of cutting tip by maintaining stable temperature. It is also used for lubricating working edges of CNC or VMC tools. It is also appreciated for reducing tip welding requirements and can be availed at leading industry rates. 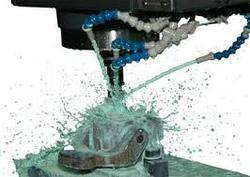 Looking for Water Soluble Cutting Oil for CNC VMC Machines ?